Many of us were ready and waiting for the Mandatory Cheer Holiday Bazaar on Thursday, Nov 29, only to find that Gish was only going to open the Bazaar when enough acts of kindness were completed and submitted. Misha Collins announced today that the Bazaar would open again on Monday Dec 3, at 11am PST/ 1PM EST for “12 minutes only” assuming people continue to post acts of kindness on the site. As always with Gish, nothing is ever certain except that you should expect chaos and kindness. The COMMITTEE Chairman, Chief Rabble-Rouser, and founder, Collins, also announced that he will be hosting via livestream during the sale, a feature that is sure to bring Gishers and fans from all over. You’ll be able to shop here on the Gish site but make sure to drop a pic of your Act of Kindness sometime this weekend! 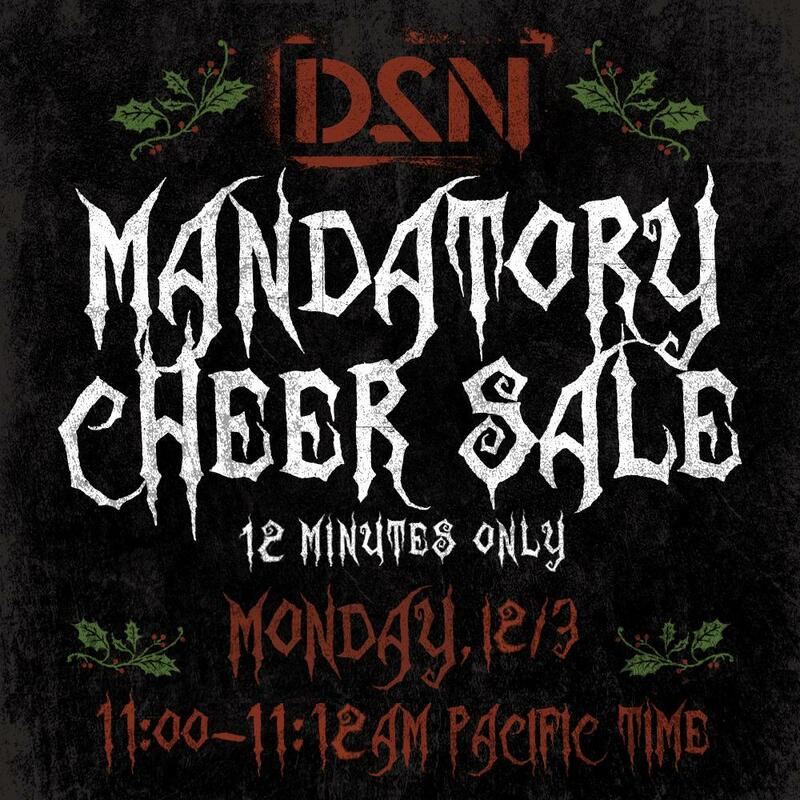 I’m pleased to announce the #D2N Mandatory Cheer Holiday Bazaar will open Monday, 12/3 at 11 AM PT—FOR 12 MINUTES ONLY! Get all your holiday baubles & frightening artifacts (in true D2N holiday spirit). ‘Fantastic Beasts and Where to Find Them’ Funko Pop! Figures Coming This Fall! Previous story EXCLUSIVE: New Images + Clip from Matt Cohen’s ‘Mama Bear’! Last Day for the Campaign!